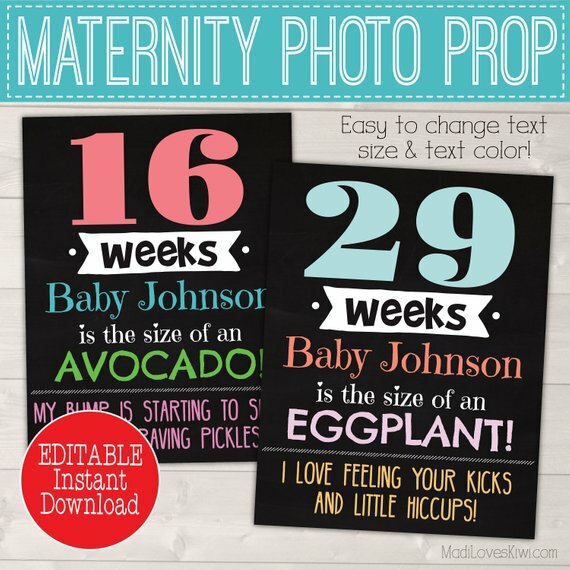 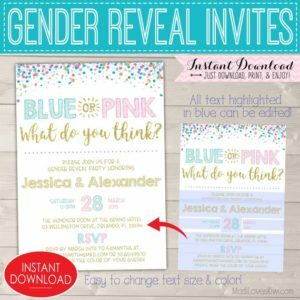 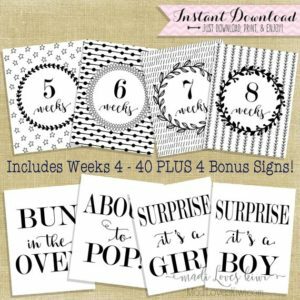 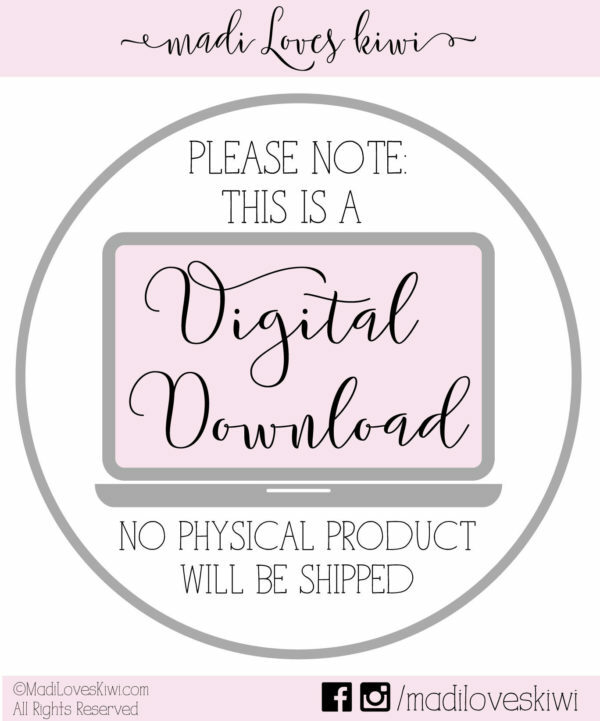 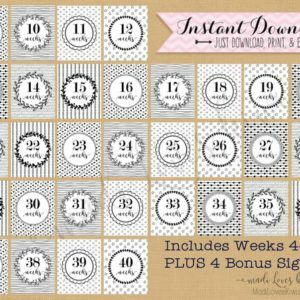 Document your exciting new adventure with these EDITABLE weekly pregnancy signs! 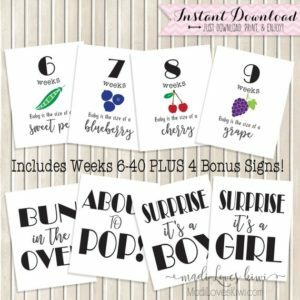 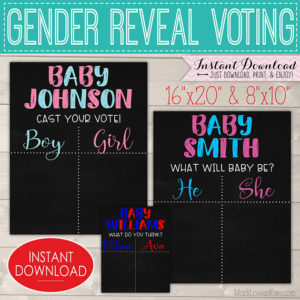 Capture your baby’s growth milestones and a fun fact on this colorful pregnancy chalkboard sign. 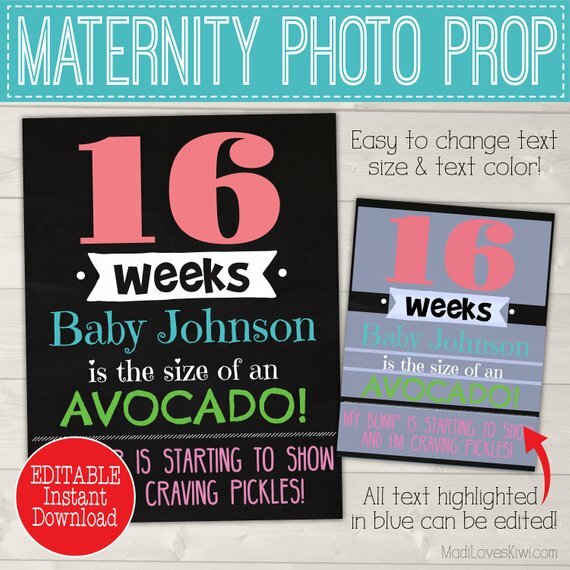 It’s easy to edit the text and you can change the text color and size as you wish! 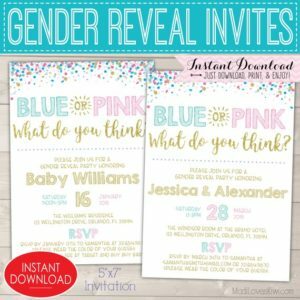 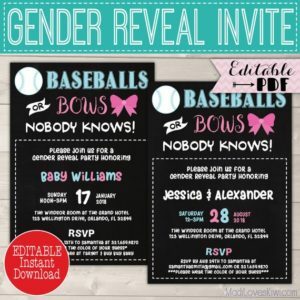 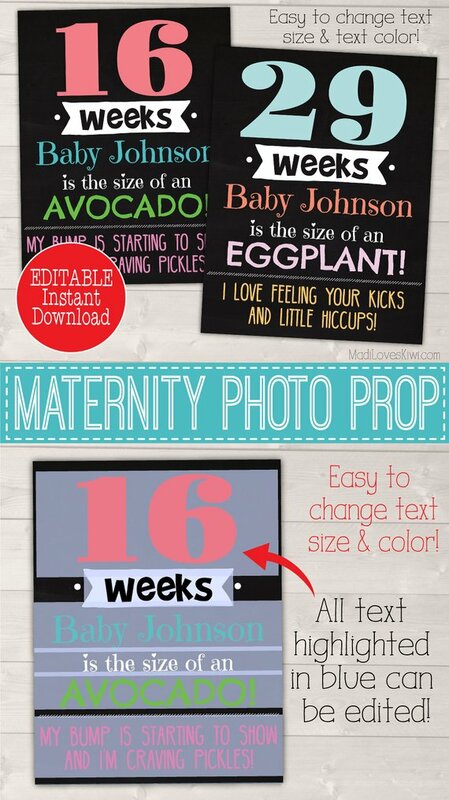 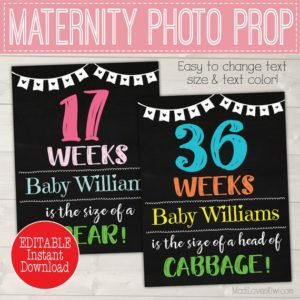 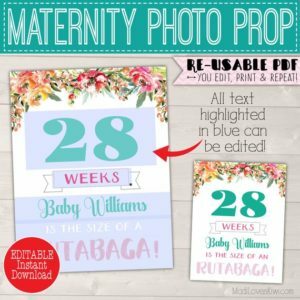 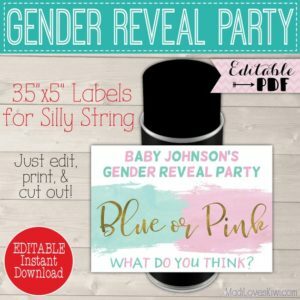 Then print and snap pics with your growing bump to share with your family and friends! 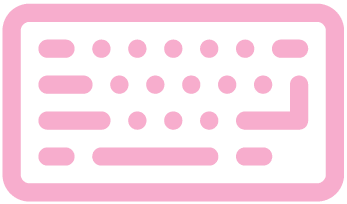 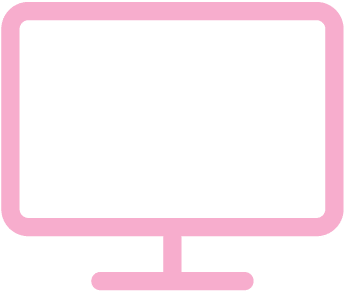 These are conveniently sized at 8.5″x11″ so you can print it at home or at a copy shop for less than a dollar! 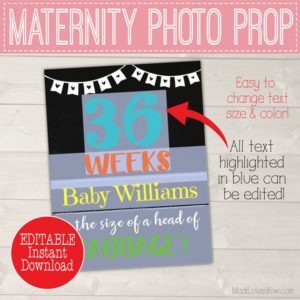 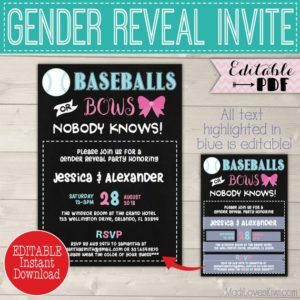 You can also save them to make a sweet keepsake for your child when he is older!